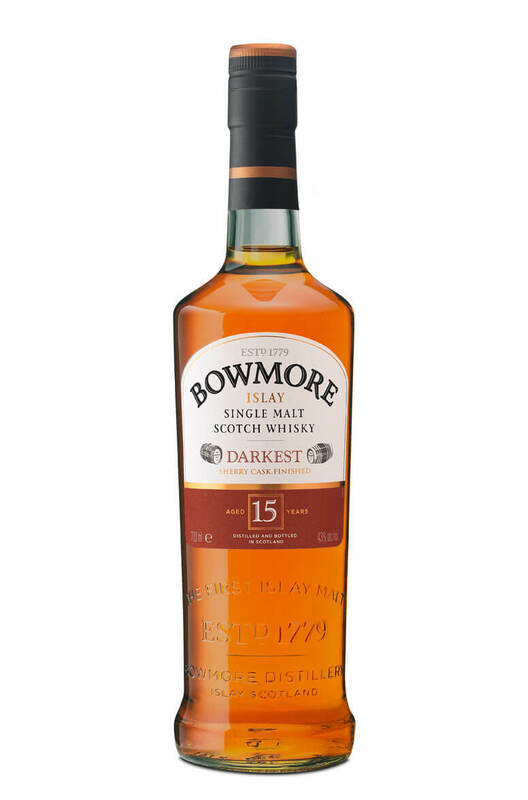 The 15 Year Old Darkest is Bowmore's heavily sherried whisky and has seen a period of finishing in Oloroso Sherry casks. This has given a lot of influence to the flavour of the whisky, and make this one for lovers of big sherry flavours. It is therefore not for everyone, expect some sticky, chocolate, toffee and caramel flavours along with some roasted nuts, dried fruits and the typical Bowmore smoke. This goes really well with a few squares of good quality dark chocolate.